DUBLIN PEOPLE ARE the least willing to work with someone who has a mental health difficulty, according to new research released by See Change. The report was released in time for the 5th annual Green Ribbon campaign run by See Change throughout the month of May, which encourages people to speak out about their mental health. The organisation found that people in Dublin are least willing to work with someone with a mental health difficulty in the future, with just 58% respondents saying they would be willing to. This figure is 8% lower than the average for the rest of Ireland, which came in at 66%. In Leinster, excluding Dublin, just over two thirds (68%) said they would be willing to work with someone experiencing mental health difficulties. Elsewhere, 70% of people in Ulster and Connacht gave the same response. Munster saw 69% of respondents say they would be willing to work alongside those with mental health issues. A total of 977 people responded to the survey conducted by Kantar Millward Brown on behalf of See Change funded by HSE NOSP. 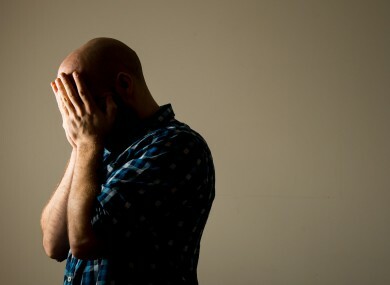 Meanwhile, the report also found that almost half of people in Ireland under the age of 35 would hide their mental health difficulties from friends and family, with 46% of respondents in that age group saying they wouldn’t conceal that they had difficulties. Overall, 38% of the 977 people surveyed said that they would conceal a mental health issue. Since the Green Ribbon campaign launch, 500,000 free green ribbons have been distributed nationwide. John Saunders, CEO of See Change, said: “People spend a large portion of their days at their workplace and in many ways what happens at work influences other parts of our lives. See Change has identified the workplace as a key setting for social change around attitudes to mental health problems to take place for this reason. Saunders said that they established their “See Change in the Workplace” six step pledge programme to help challenge mental health stigma. “Creating an environment where people can be open and positive about their own and others’ mental health is vital in reducing the stigma towards mental health,” he said. More information about events taking place across the country this month for the Green Ribbon campaign can be found here. You can find out more about See Change at www.seechange.ie. Email “Almost half of people in Dublin wouldn't work with someone with a mental health difficulty”. Feedback on “Almost half of people in Dublin wouldn't work with someone with a mental health difficulty”.